Padharo Mharo Desh-Welcome to Rajasthan, is the first thing that comes to my mind when I think of Rajasthan, and these are exact words used by the locals to welcome whoever visit their beautiful state. 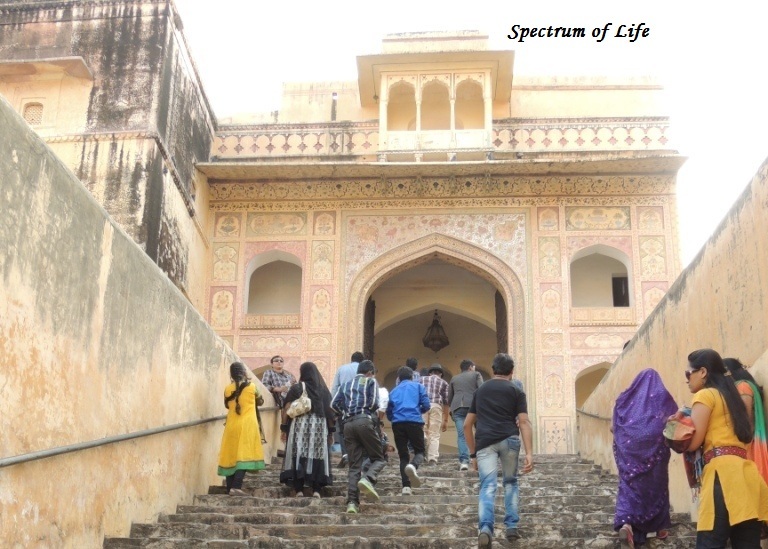 My second visit to Jaipur(the capital of Rajasthan) was made in the 1st week of November, 2013. Earlier I had visited Jaipur & Udaipur in 2004, with my parents. This time there was a time constraint, so I had to plan the trip only for 1 day. Nevertheless, I was very much excited, as the Royal grandeur of Rajasthan has always attracted me. Valor, Color, Magnificence—–are the 3 words that strike my mind when I think about this glorious state of India. Rajasthan holds a very triumphant history, with stories of the valor of its great warriors, who fought so bravely in the old era. It is also a colorful state, starting from its traditional costume to accessories. And, last of all, the elegance of the monuments, that stands as witness to the courage of the Rajputs. Every architectural beauty in the states exudes a distinctive brilliance. 1. 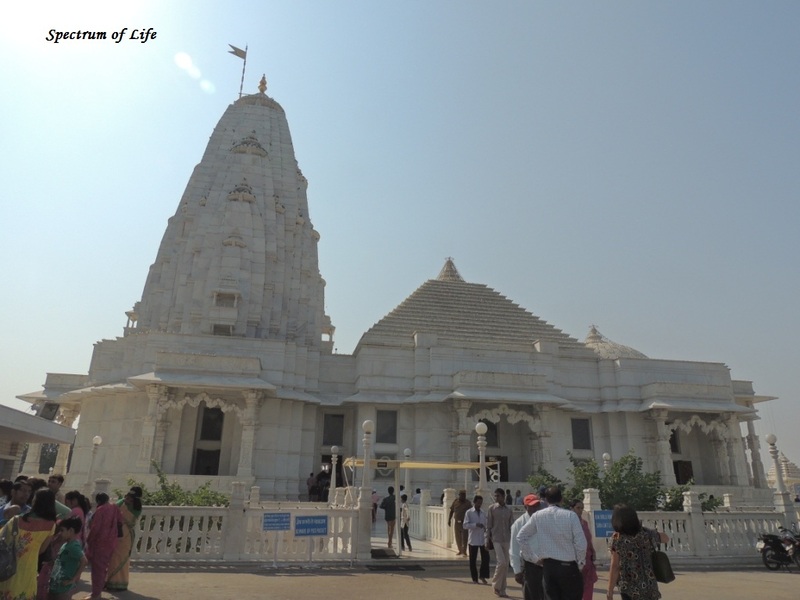 The Birla Temple : Our first halt was this beautiful temple carved out of white marble. Also referred to as the Laxmi-Narayan temple, it is located at the base of Moti dungri hill. On moonlit nights the temple looks all the more beautiful, as told by locals. It is but obvious that a structure so marvellous, of white shinning marble, will definitely provide a awesome view. The Laxmi-Narayan statues are also made out of white marble. The painted glass windows depicts events from Hindu mythology. 2. The Hawa Mahal (The Palace of Winds) : This is the most interesting place to visit in Jaipur. Built out of red sandstone and criss-cross frame work in the 18th century by Maharaja Sawai Pratap Singh, the architecture of this palace is very unique. It looks like a crown, with around 1000 windows of all sizes & shapes. Isn’t that amazing!!! 🙂 . 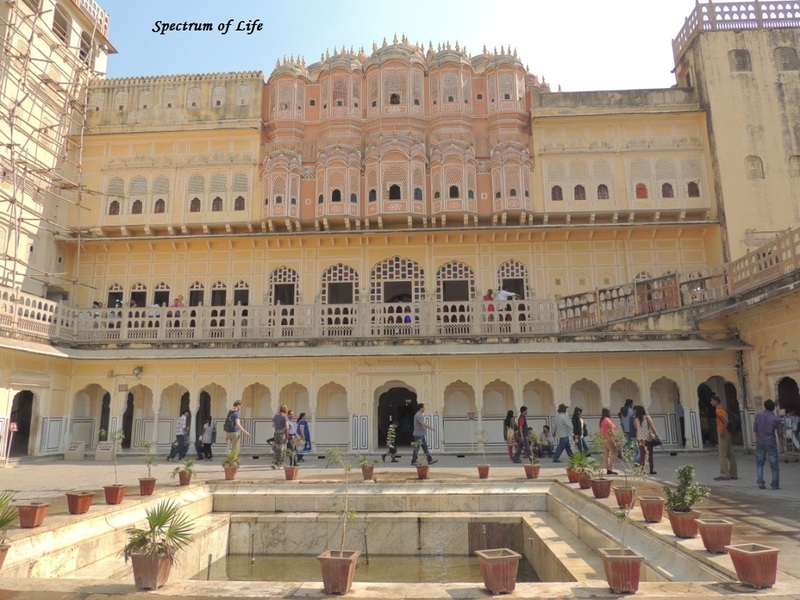 The purpose of the windows was to allow Royal ladies to view the public on the streets of Jaipur, or to witness the cultural shows at the time of festivals, as there was the Purdah system(covering of face) for ladies in that era. There is also much of science that went into building this palace, which I came across while reading a piece on Hawa Mahal. 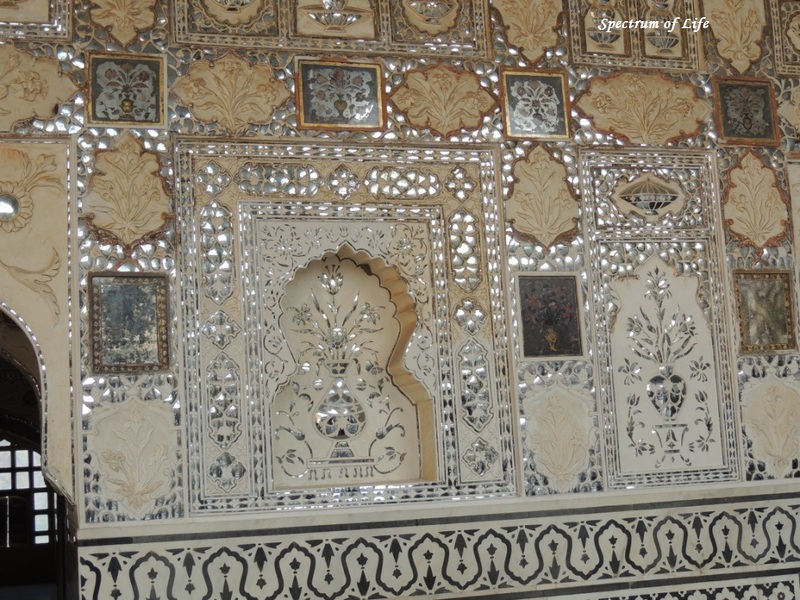 The lattice work provides cool breeze to be circulated in the whole palace, as a result of Venturi effect. This is really great that without air-conditioner, one can feel the coolness even at higher temperatures. 3. The Jal Mahal (Water palace) : A palace in the middle of a lake—-its sounds so soothing. 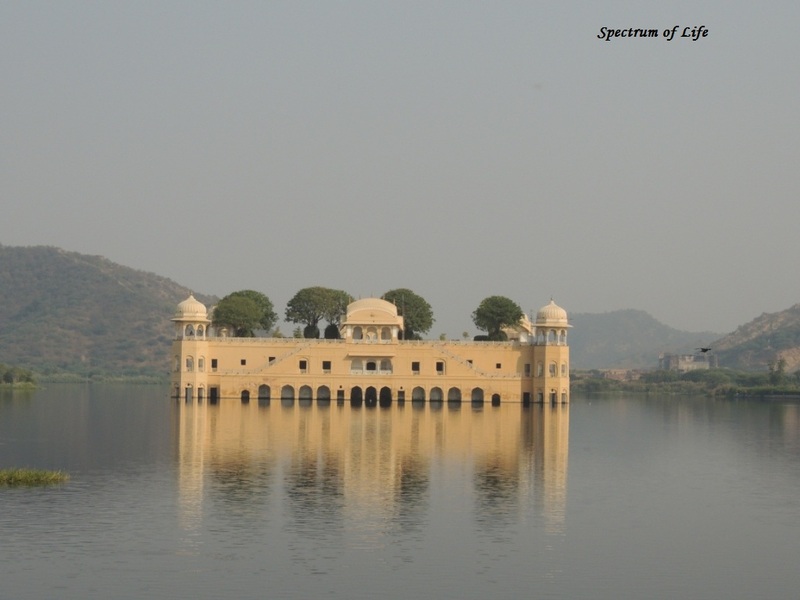 Well, let me take you on a virtual tour of the Water Palace or Jal Mahal. 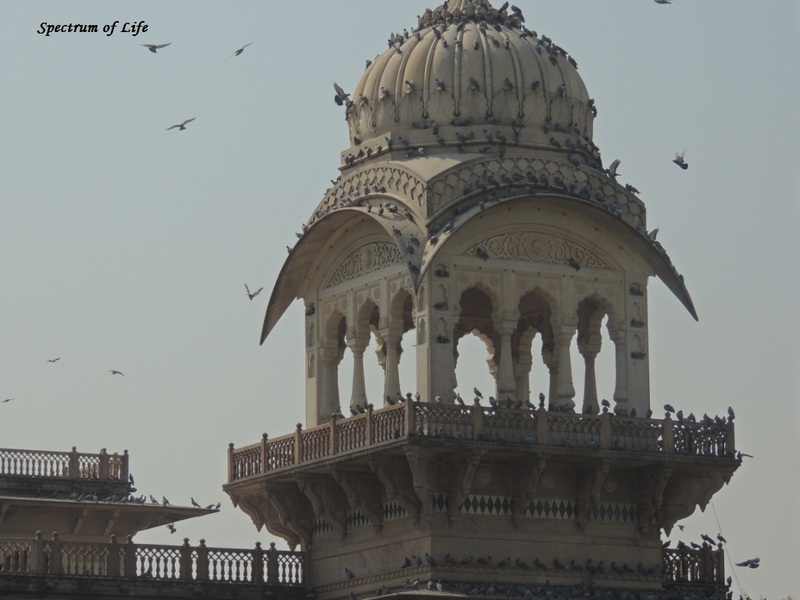 Built in the middle of Man Sagar lake, the palace is built according to Mughal & Rajput architecture. 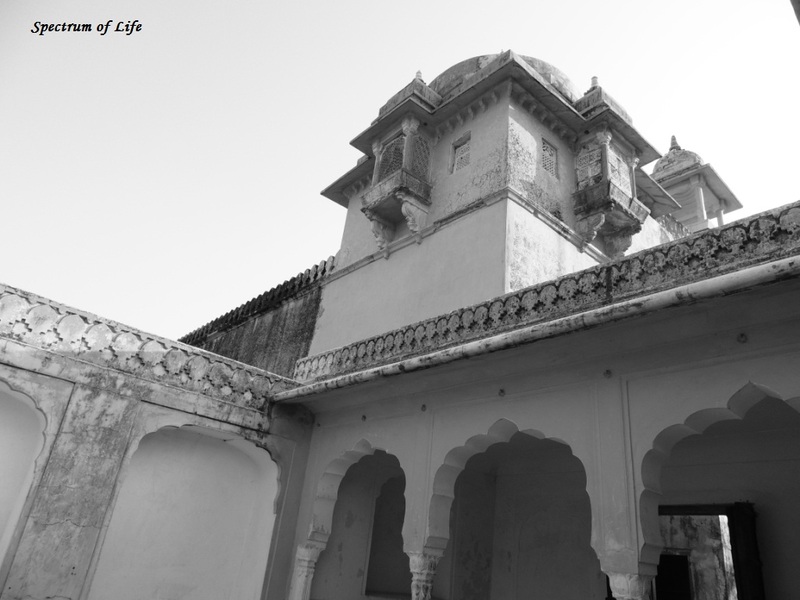 This palace was once that shooting lodge for the Maharaja of Jaipur. The building has 5 storeys, out of which 3 was under water when I visited. The light colored palace gives a contrasting view with the clear blue waters of the lake. There are also fishes in the lake, whom you can feed. 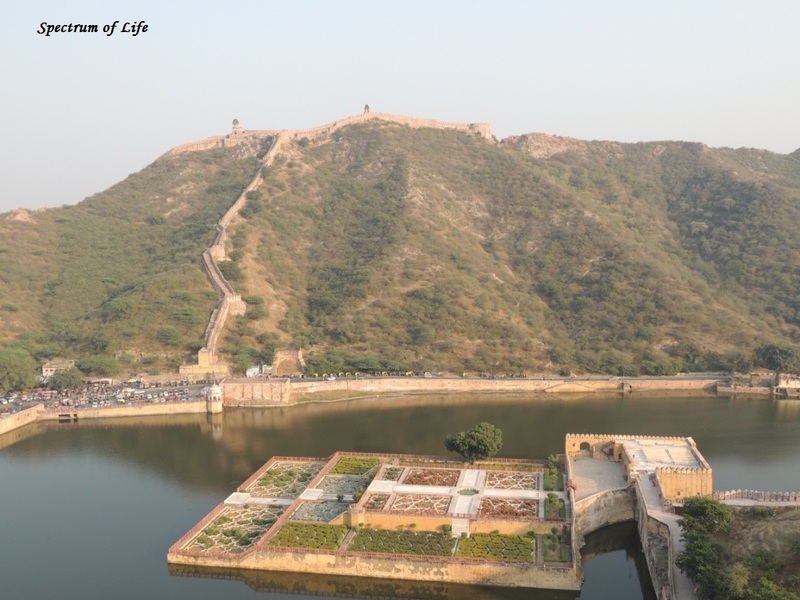 Across the lake, you can view the Aravalli range. 4. Amer Fort : According to me, this is the most magnificient of all the buildings in jaipur. Due to its aesthetic architecture, this fort is fondly referred to as the Amer Palace. The Maota lake in front adds a mystic charm to the fort. 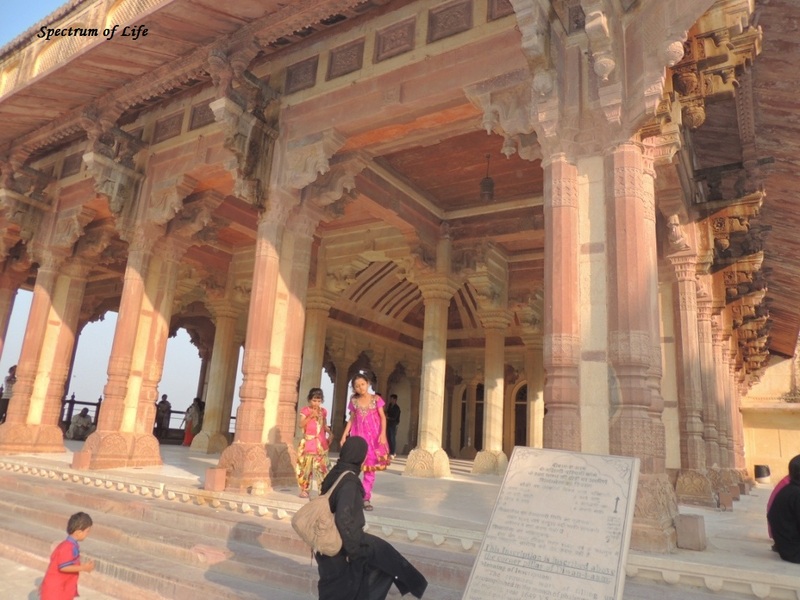 It is built of red sandstone & marble and has different sections inside the fort. There is the Diwan-e-khas(Hall of Private Audience), Diwan-e-aam(Hall of Public Audience), Sheesh mahal(Mirror palace) and the Sukh Niwas. There are also some other tourist locations which can be visited, if you are in Jaipur for 2-3 days, like the Jantar-Mantar, Jaigarh fort, Nahargarh fort, City palace & Albert Hall. For shopping, you can venture into Bapu Bazaar, Johri Bazaar, Rajasthali(Govt.emporiun of crafts), etc. Jaipur is famous for its textiles, mainly bandhej(tie & die) works. You can also but some block printed materials for suits & salwars. The Kundan jewellery of Jaipur is famous worldwide. Then there is the jutis, colorful bags, wall hangings, etc. And for food, dont miss out the Rajasthani Thali. I had it on my way to Amer fort in a small restaurant. It was a plate filled with all possible colors of delicacies. Dal Batti, Choorma, Gatte ki sabji, Dal ka paratha, Ghevar, Chaas(buttermilk) are the main items in cuisine of this princely state. Overall it was a hectic,but fulfilling trip. Hope to cover other parts of Rajathan soon enough. Until then, keep travelling & keep blogging 🙂 .